Philippines’ national flag carrier Philippines Airlines (PAL) has announced plans to temporally put on hold its flights between Manilla and Kuwait City due to fall in travel demands following Manilla’s decision to halt deployment of Filipinas as house workers in the Gulf country. “With the repatriation effort now complete, the ongoing slowdown in overseas Filipino workers’ travel to Kuwait has made regular operations economically unsustainable, hence the need to suspend these flights to Kuwait until market conditions on the route improve,” the airline said. The decision will be enacted from May 16, Gulf Business reports. Manilla, following reports of abuses suffered by its nationals working as house workers in Kuwait, decided in January to ban the deployment of Filipinas to Kuwait and other countries in the region. The ban came into force in February when a 29-year old Filipina was found stuffed in a freezer in an abandoned apartment in Kuwait. She was reportedly killed by her employers, a Lebanese and Syrian couple, over a year ago. Manilla instructed the repatriation of its nationals including those who were staying illegally in the country. Tens of thousands have been flown out of Kuwait where the Filipino working population has been estimated at 250,000. 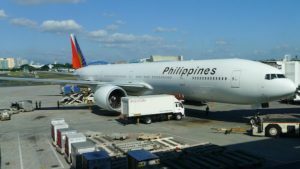 The airline however argued that it was confronted with “difficult market conditions” even before authorities issued the ban and initiated the repatriation. It offered passengers who had booked flights to and from Kuwait on May 16 or after the possibility of flying via Abu Dhabi, Dubai or Doha. It also proposed to refund the passengers. Kuwait has called talks to defuse crisis. Negotiations to review the bilateral labor deal are ongoing. Meanwhile, Kuwait announced last week it would apply for Ethiopian house workers to replace Filipinas.